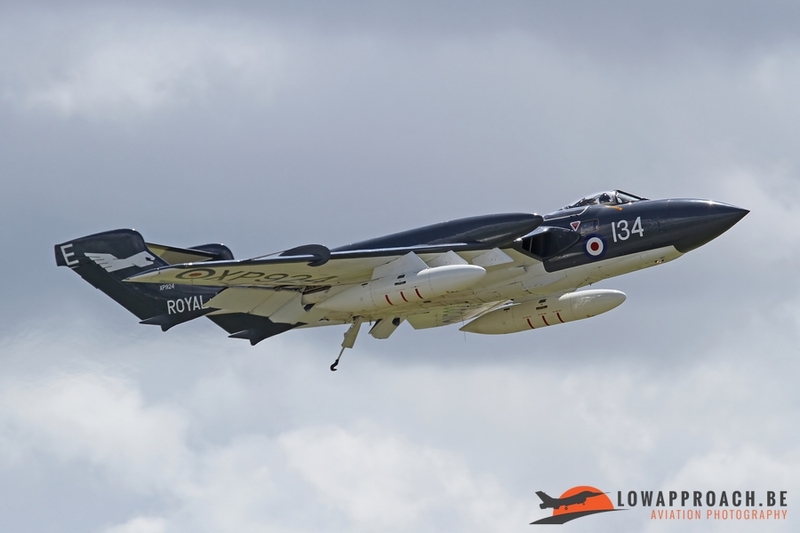 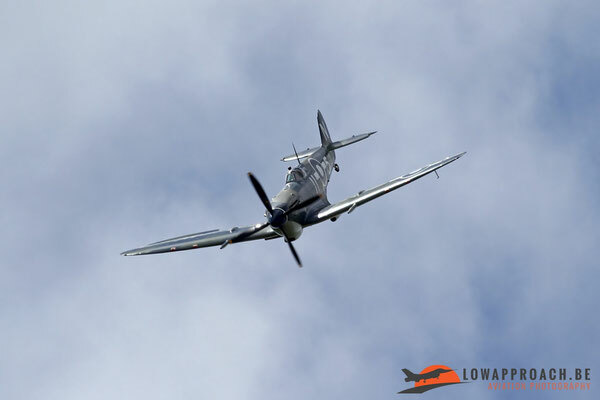 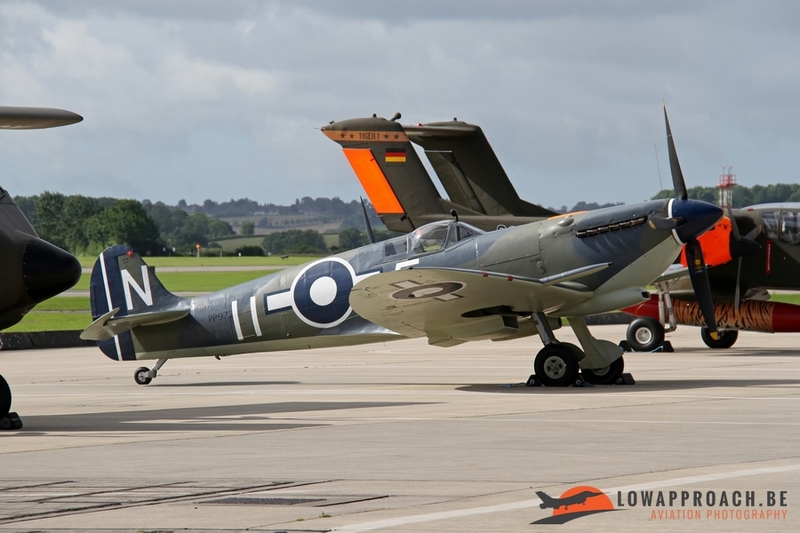 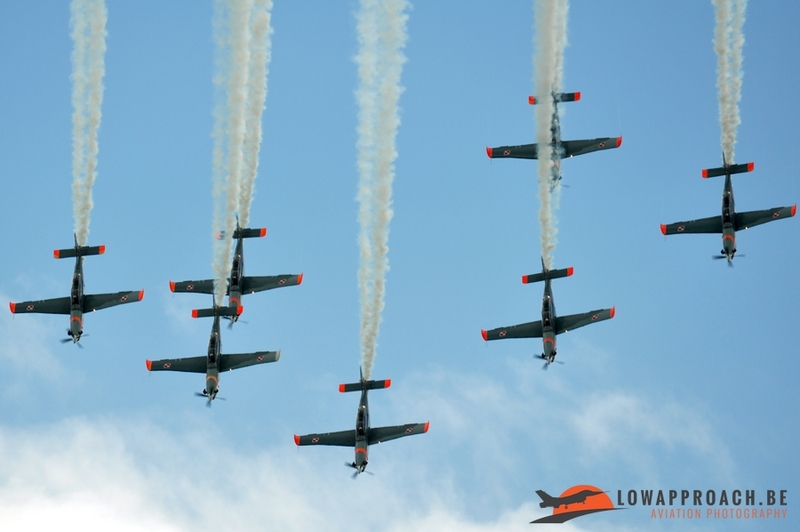 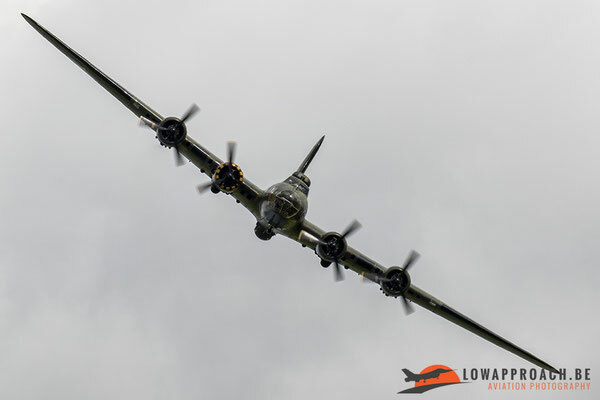 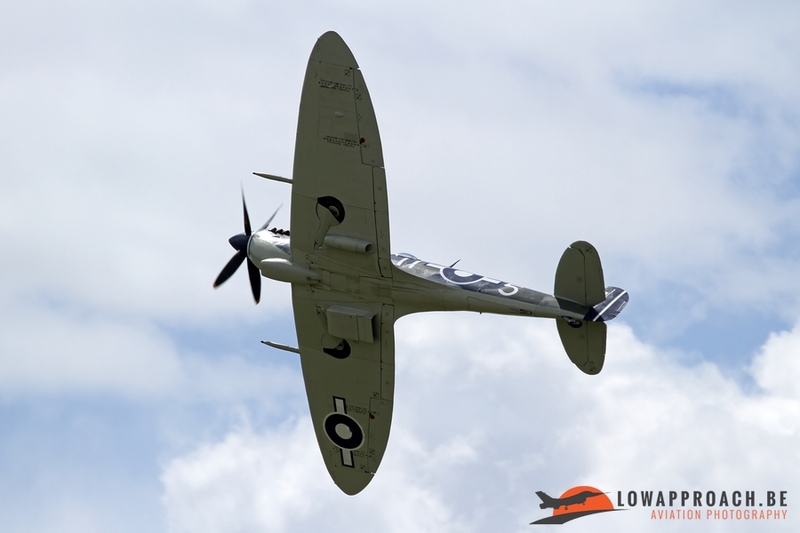 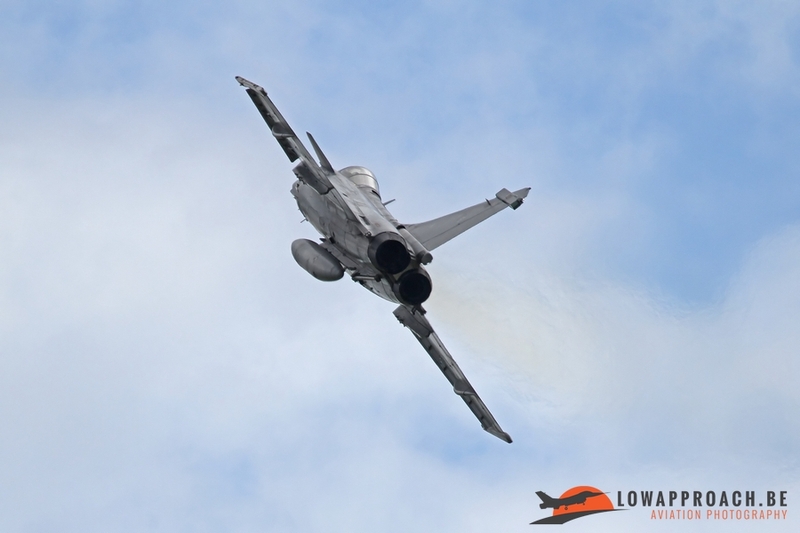 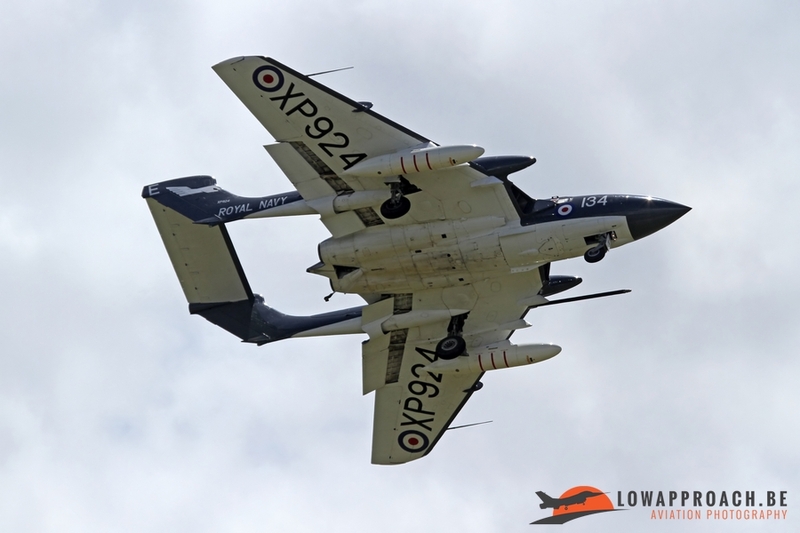 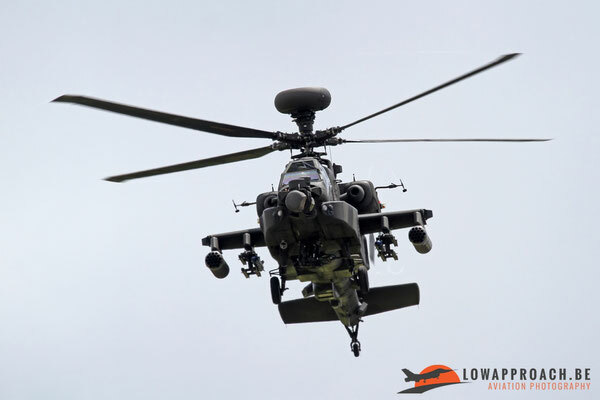 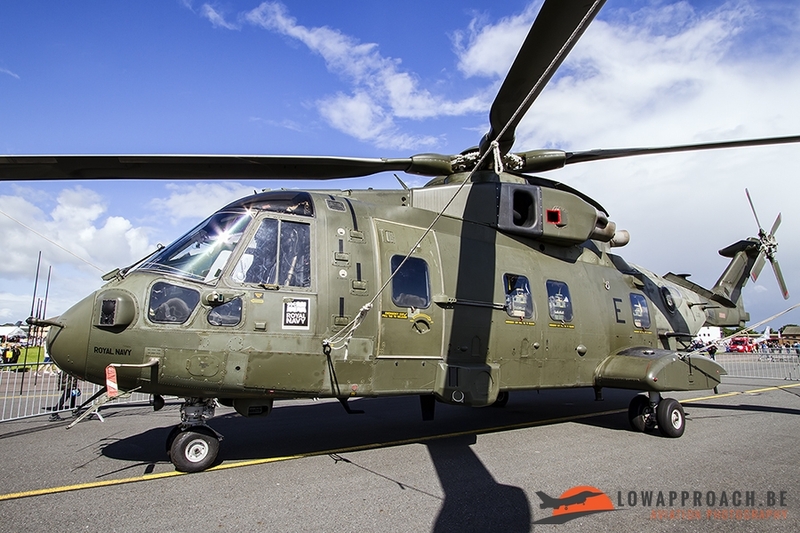 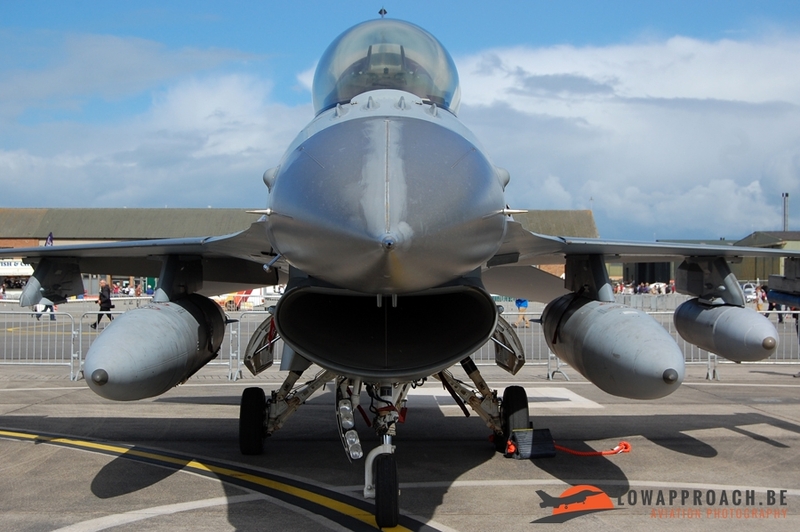 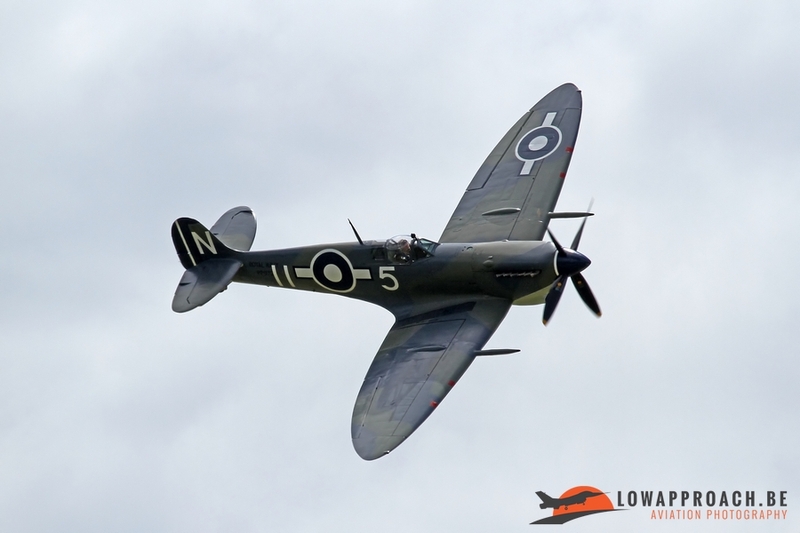 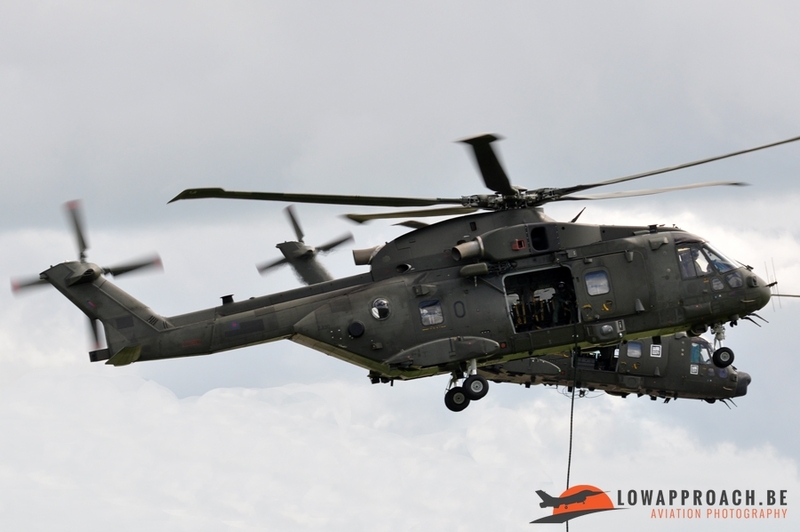 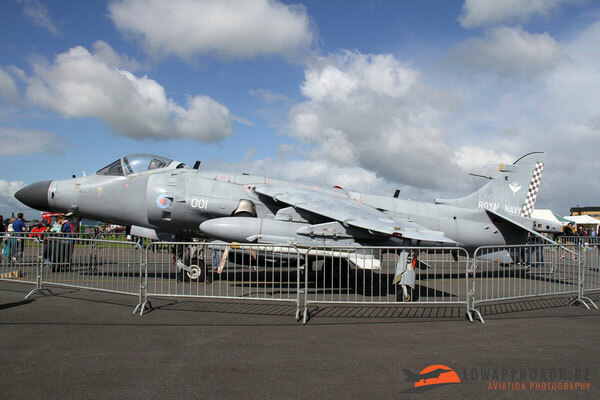 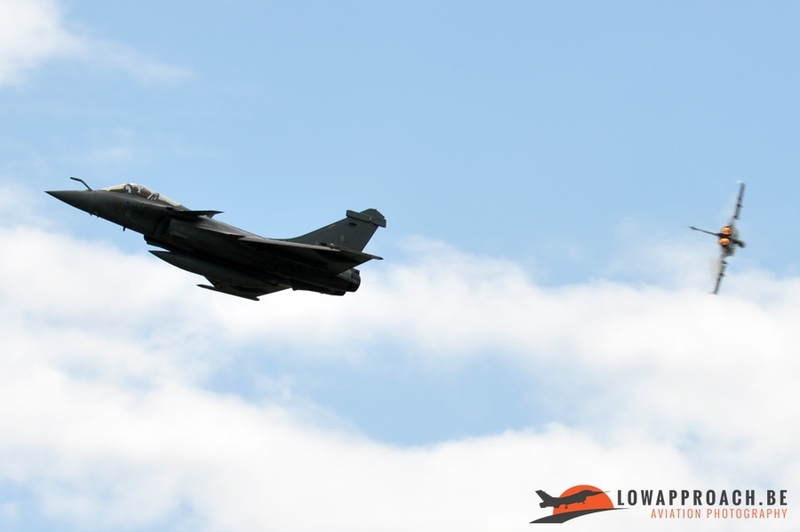 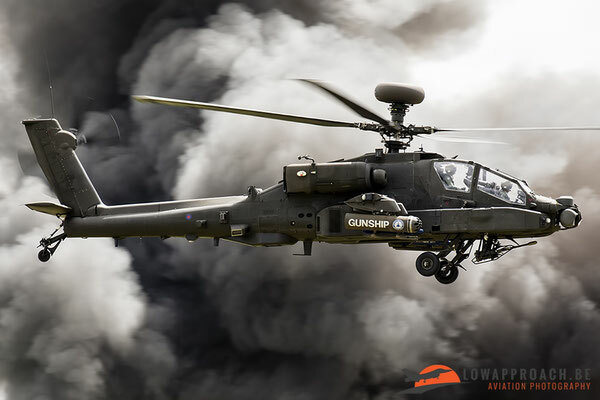 Yeovilton Air Day – July 2nd, 2016. 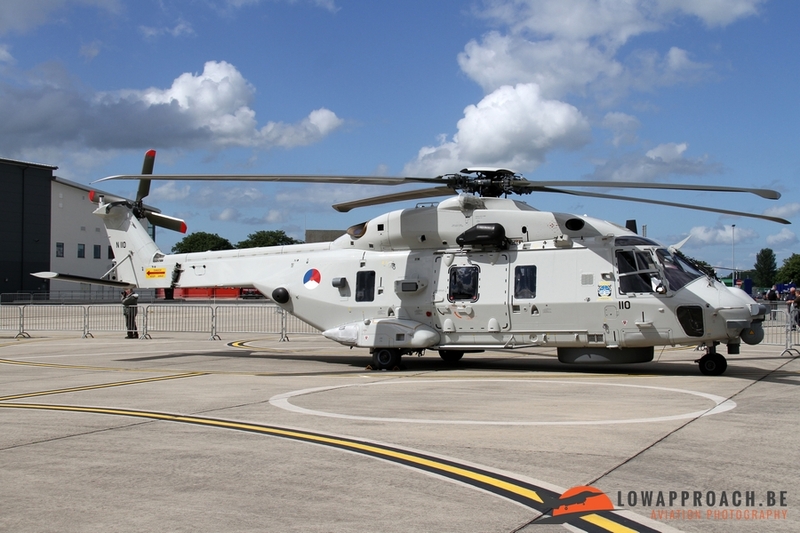 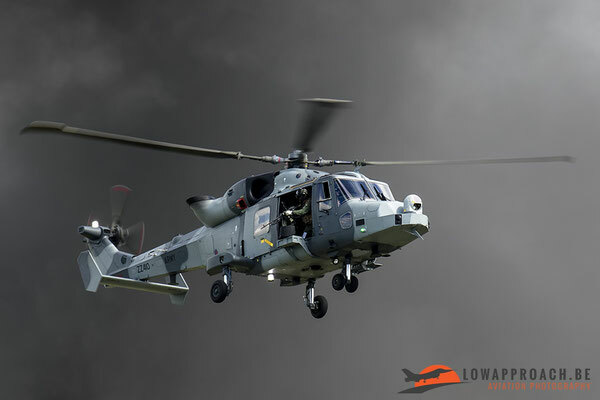 On July 2nd, the Royal Navy organized its annual Air Day at Royal Naval Air Station Yeovilton, also known as HMS Heron. 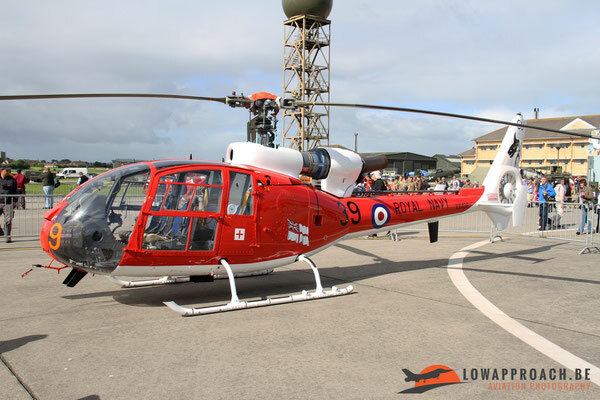 Three members from Low Approach made the overnight journey to this base located in the south of England. 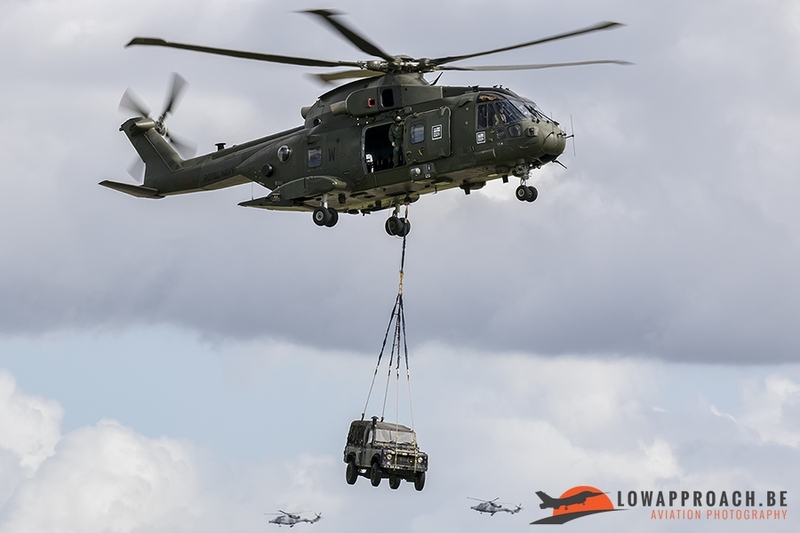 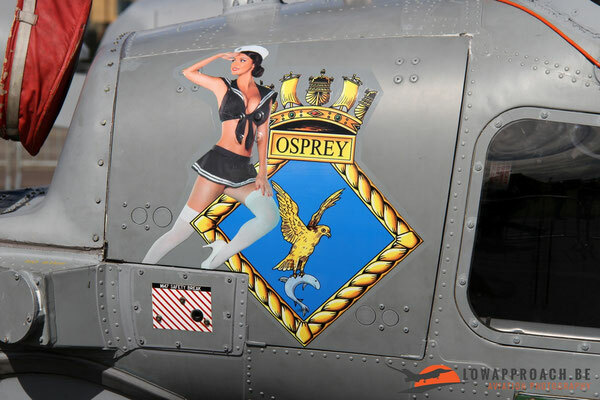 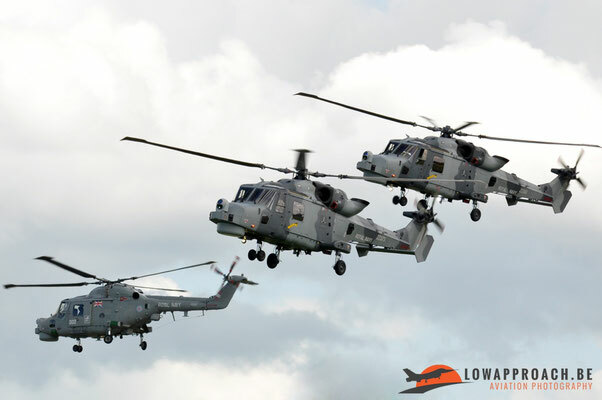 Yeovilton is the home base of several Royal Navy Helicopter and Fixed Wing units. 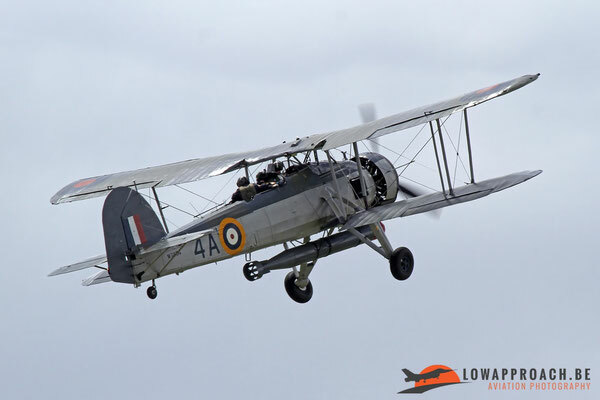 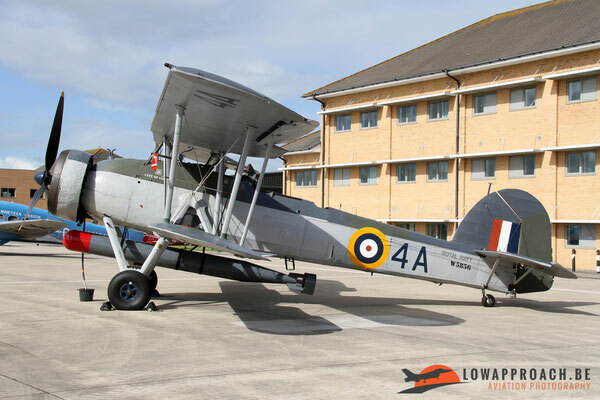 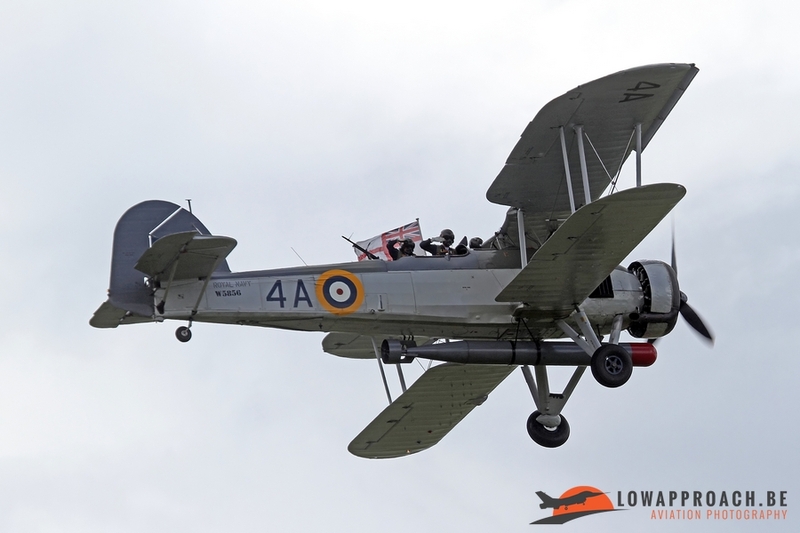 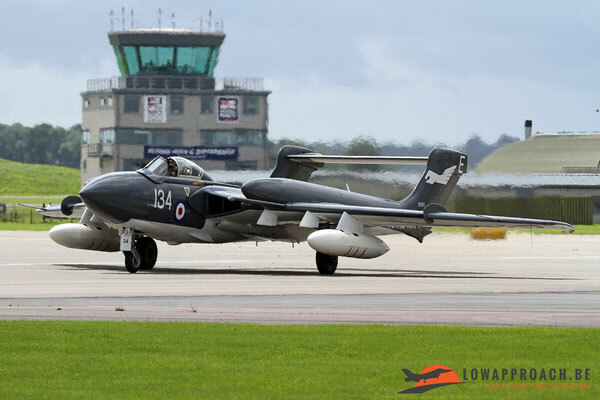 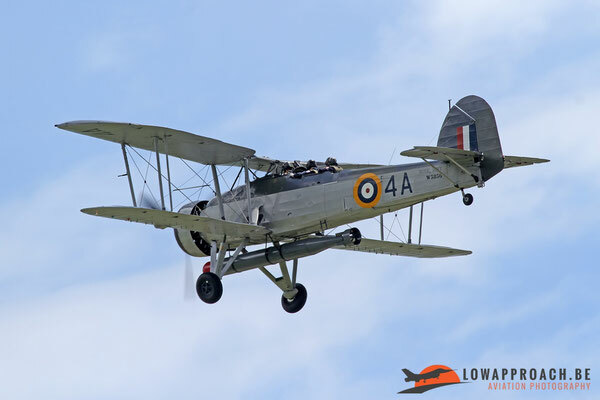 In addition the Royal Navy Historic Flight uses Yeovilton as its home base, lastly the Fleet Air Museum (which we will cover in a separate article) is located at the base. 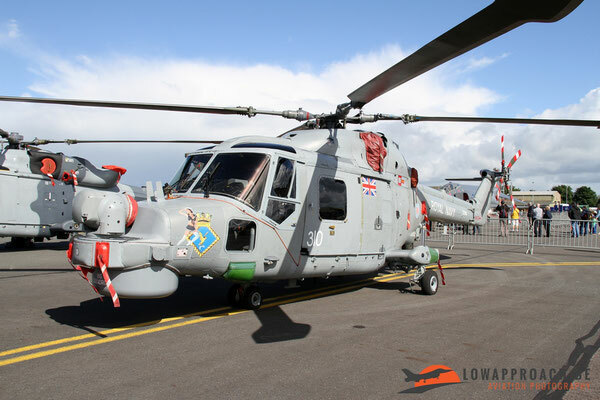 The static display at this years’ Air Day consisted mainly of a examples of Royal Navy aircraft types, and a number of foreign visitors. 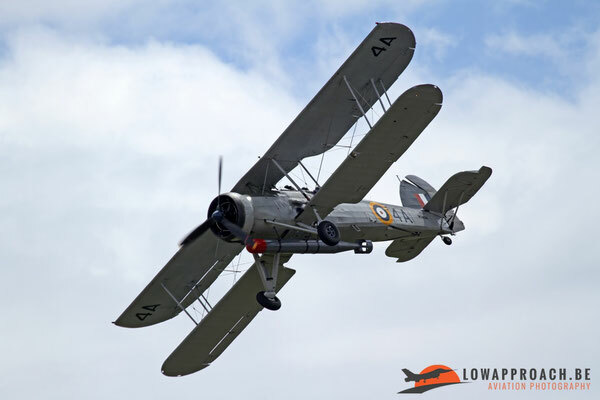 Unfortunately the Royal Navy aircraft were surrounded by quite narrow fences so preventing descent photography. 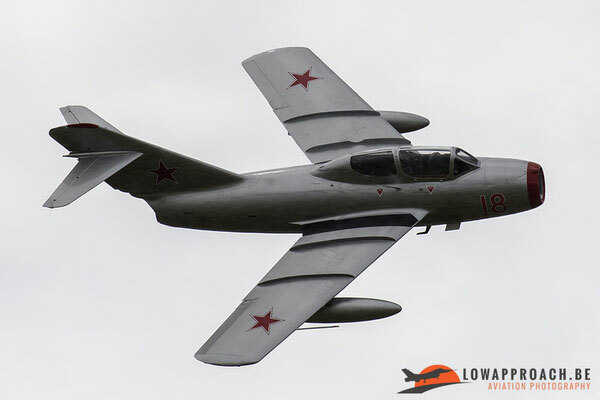 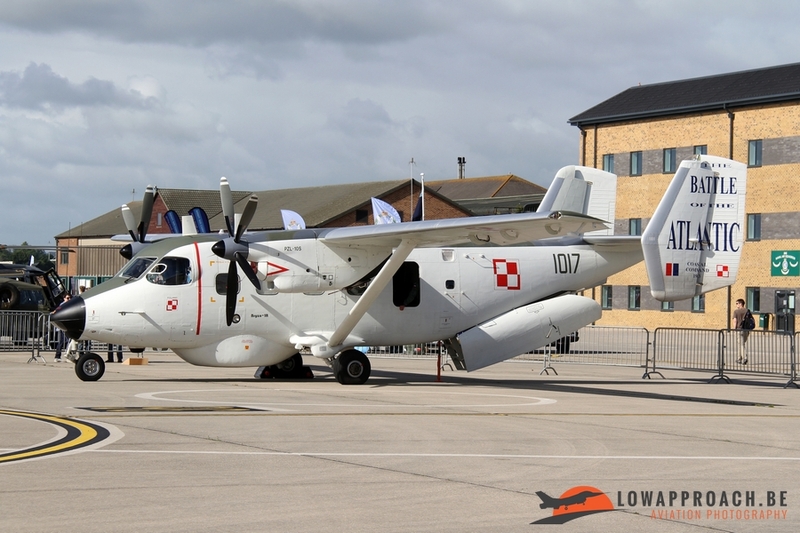 Amongst the foreign visitors of note were a Polish Navy Antonov M28B, wearing a special color scheme referring to the Polish contribution during the Second World War amidst the ranks of the Royal Navy. 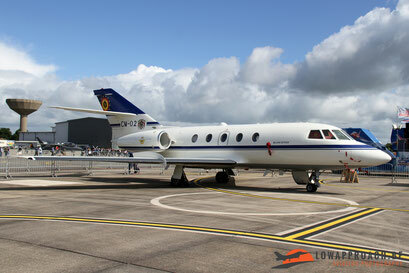 The French and Dutch Navy send respectively a Dassault Falcon 10MER and a Airbus Military NH90NFH. 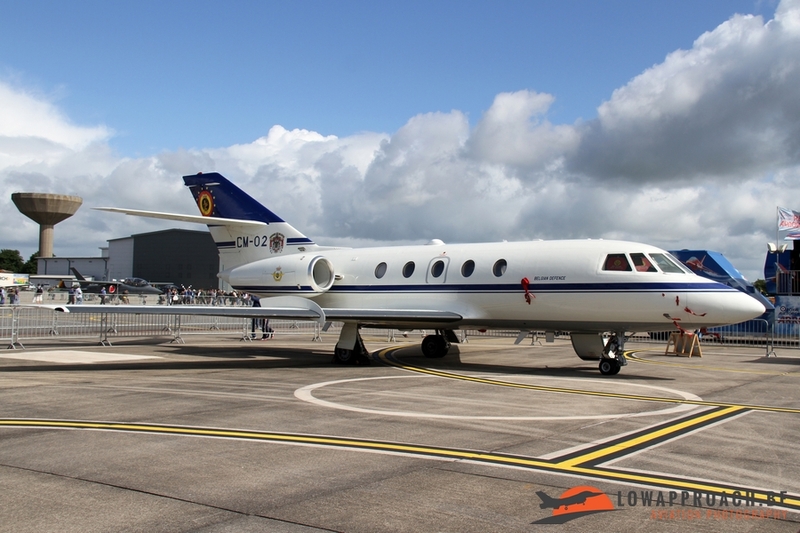 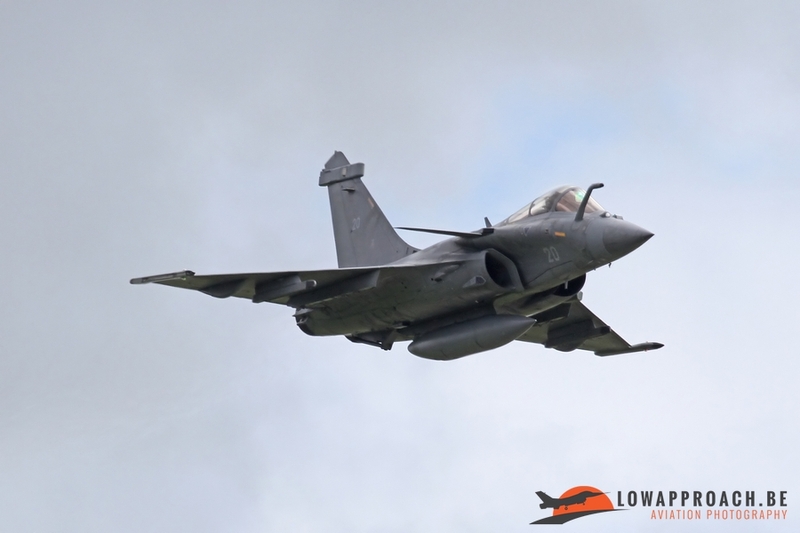 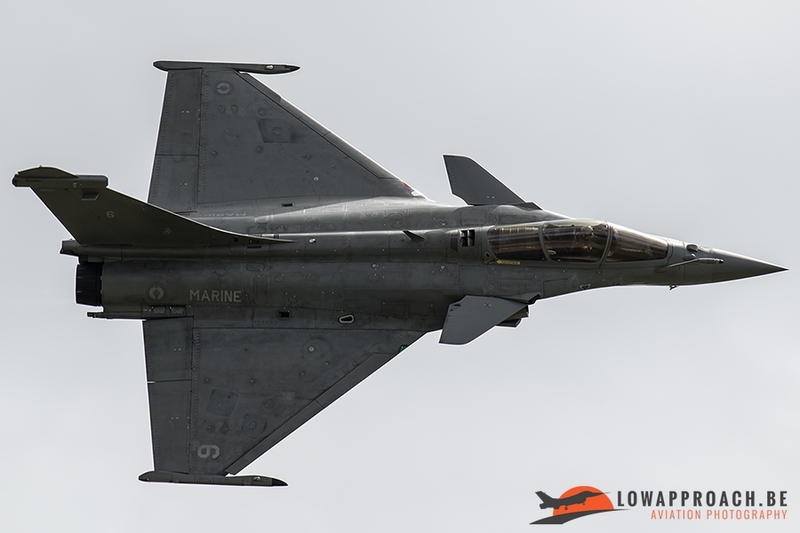 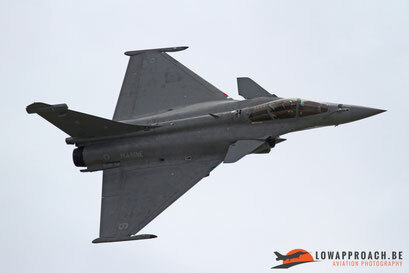 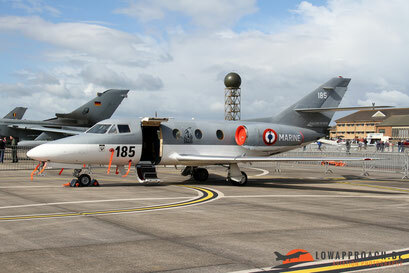 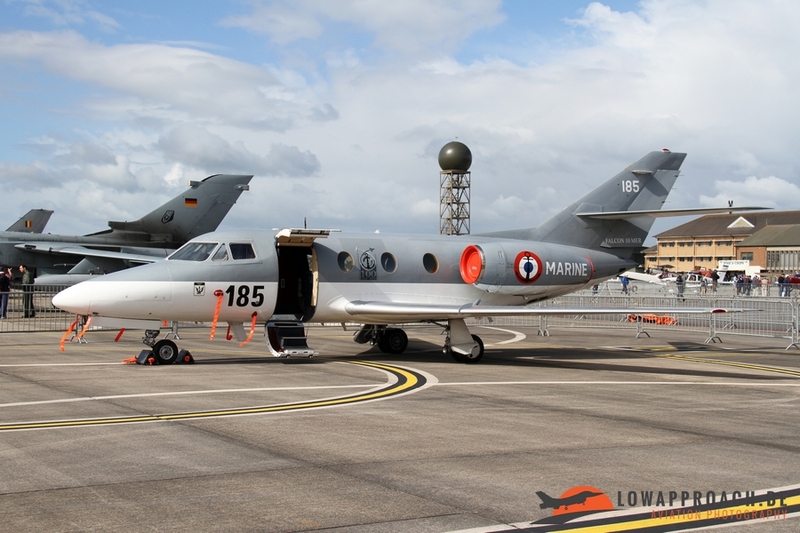 Belgium was represented by the last operational Dassault Falcon 20-5 from 21 Squadron and General Dynamics F16AM Fighting from 1 Squadron at Florennes. 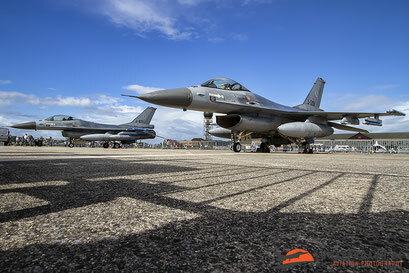 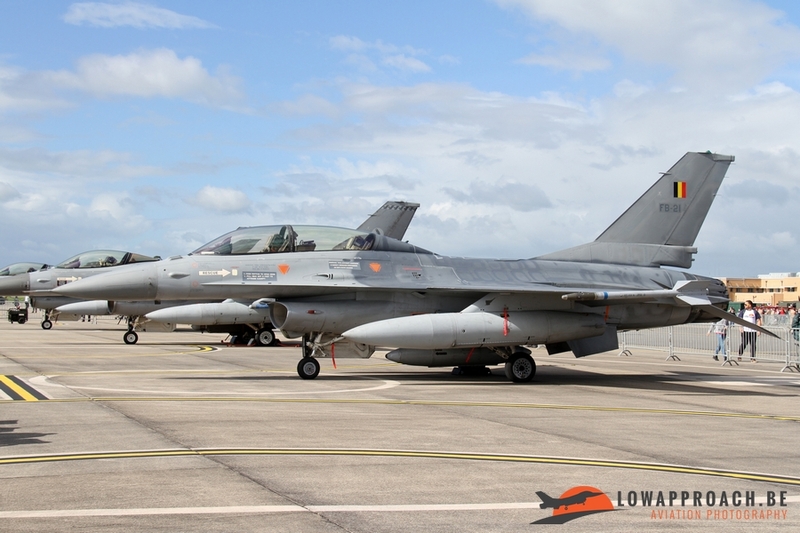 Also the Netherlands send a couple of F16AMs from 322 and 323 Squadron, both based at Leeuwarden. 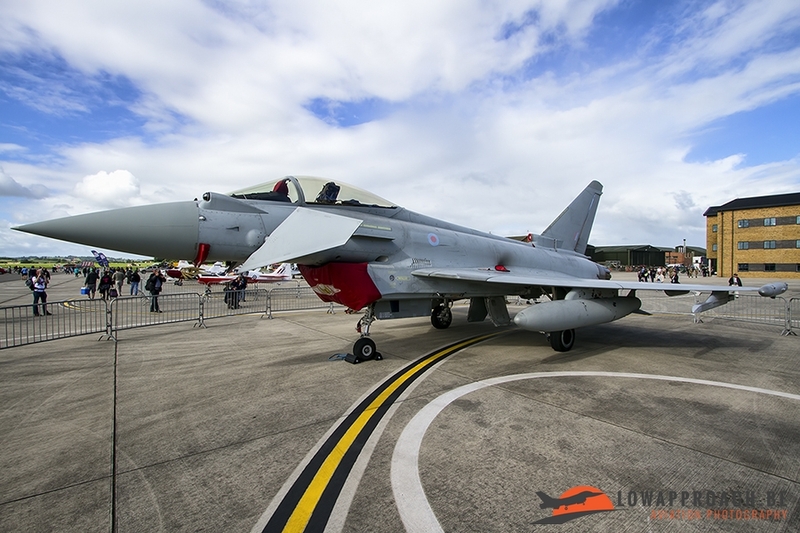 The Royal Air Force send amongst others a Eurofighter Typhoon FGR.4 and a local Agusta-Westland EH101 Merlin concluded the line-up. 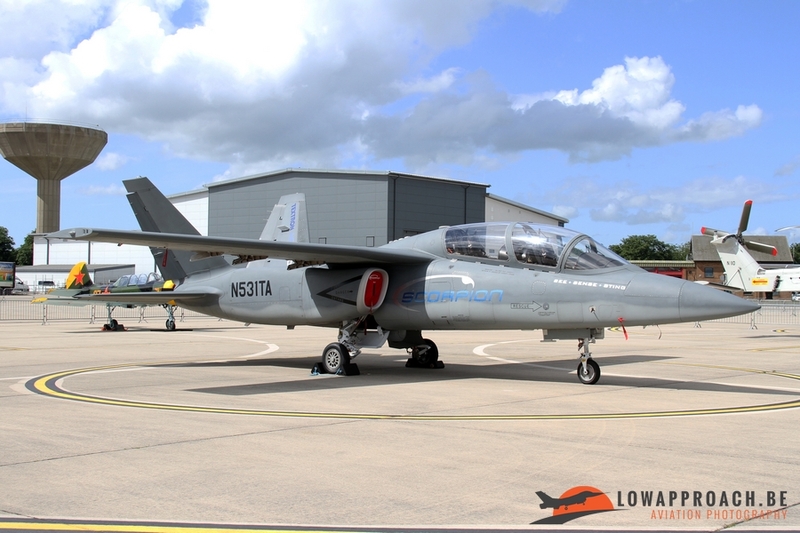 Other interesting aircraft on static display was the first prototype of the Textron-Airland Scorpion. 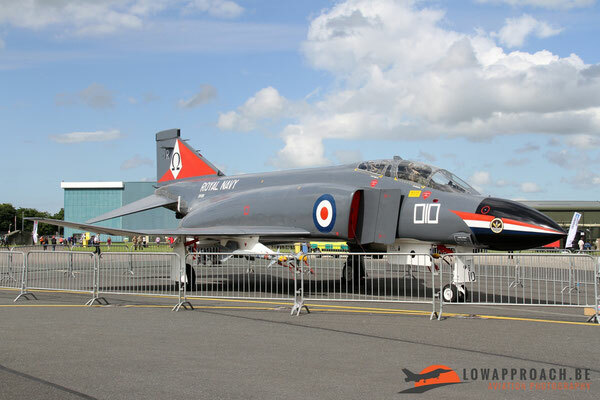 Historic Royal Navy aircraft were a beautifully restored McDonnell Douglas Phantom FR.1, a British Aerospace Sea Harrier FA.2 and an airworthy Westland Gazelle HT.2. 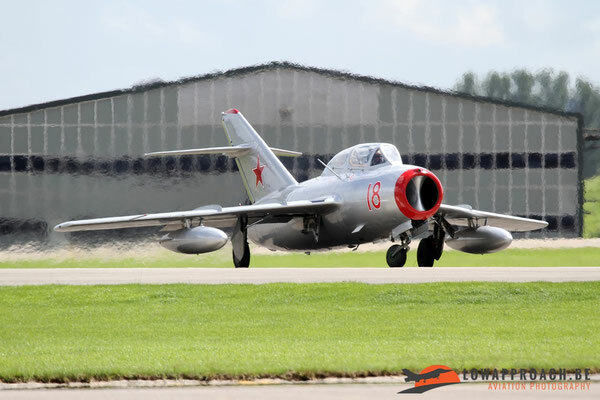 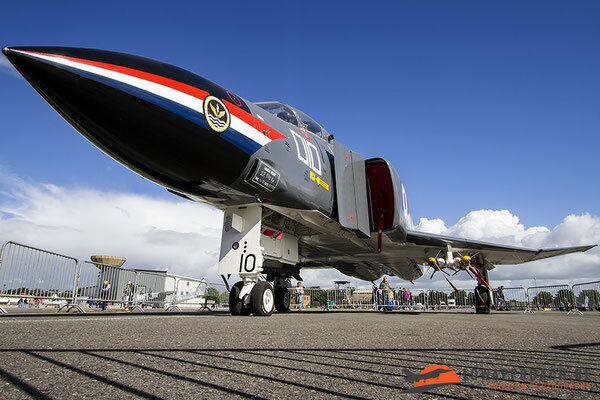 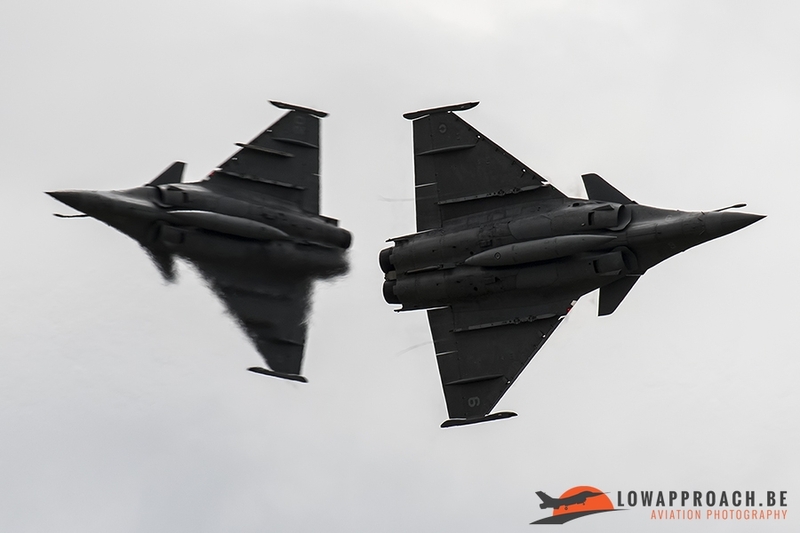 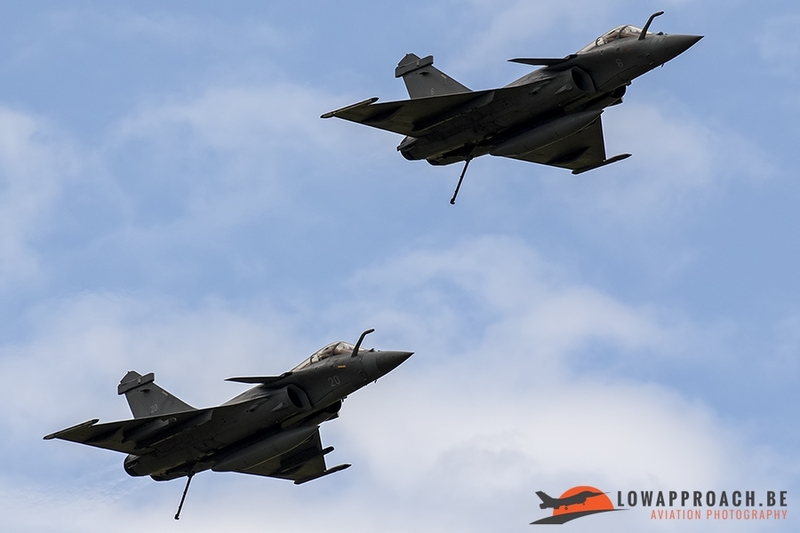 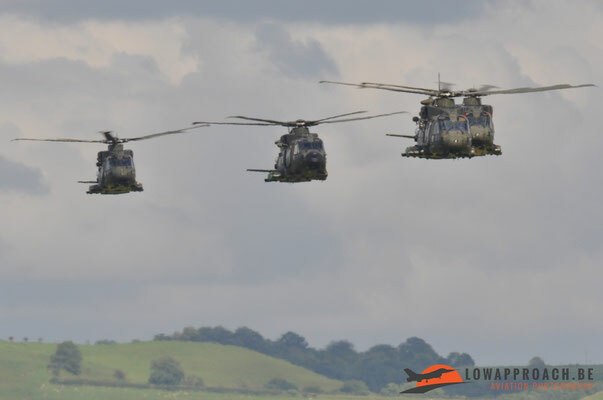 These last three will certainly bring back nice memories to the older readers, as in the seventies and eighties these could regularly be seen at airshows in Europe. 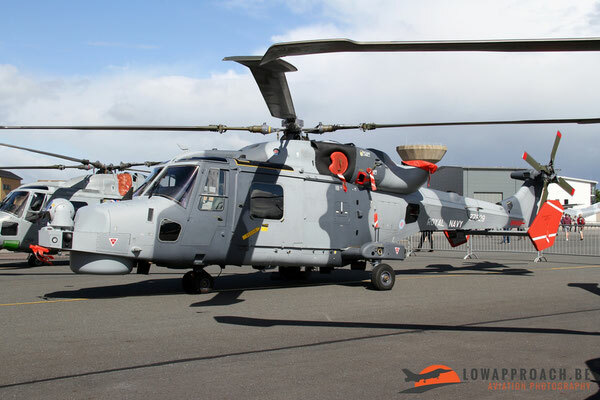 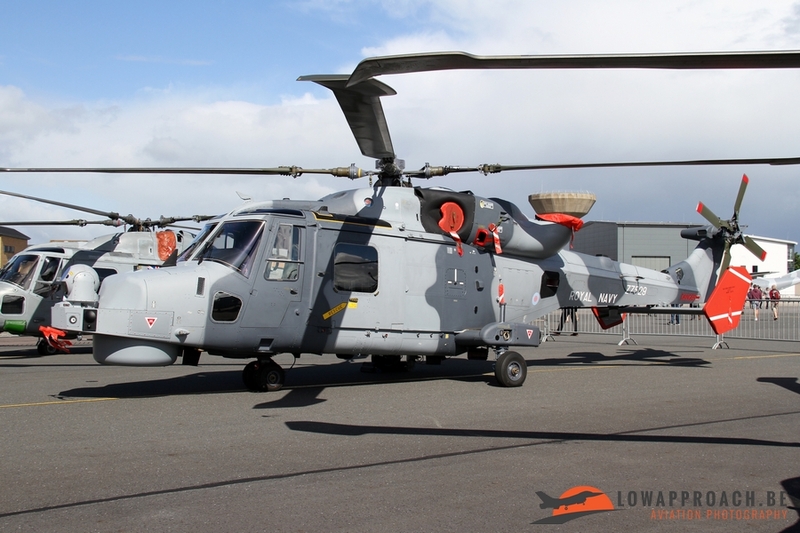 Slightly newer, but also almost history, was the Westland Lynx HMA.8 which will be shortly retired from Royal Navy service, flanked by its replacement the Agusta-Westland Wildcat HMA.2. A fairly large part of the flying dedicated to the Fleet Air Arm history, the nearby presence of the Royal Navy Historic Flight is off course a big contributor to that. 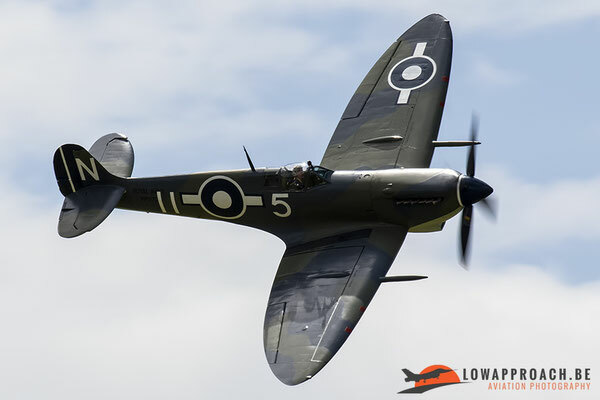 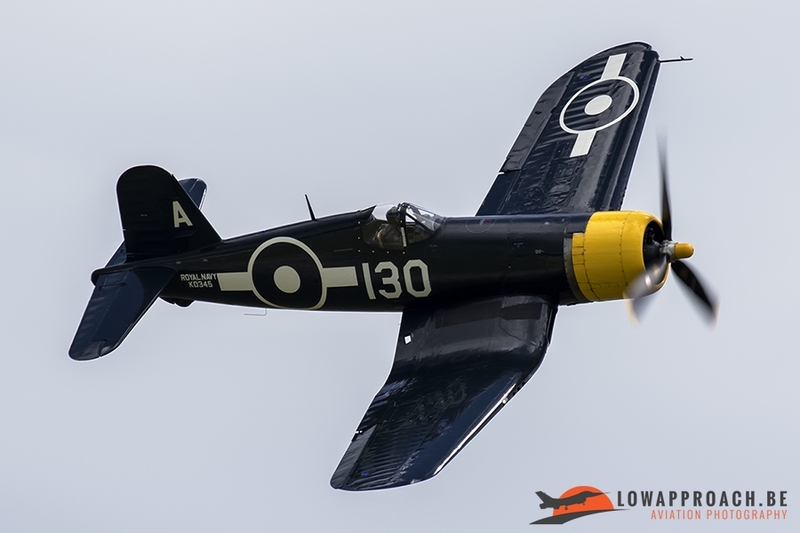 During the display the audience was treated to some nice performances by a Goodyear-build Vought FG1D Corsair, an extremely rare Supermarine Seafire Mk.III, an even rarer Fairey Swordfish Mk.1 and the only flying De Havilland Sea Vixen D.3 in the world. Another unusual participant was a Westland Wasp HAS.1. 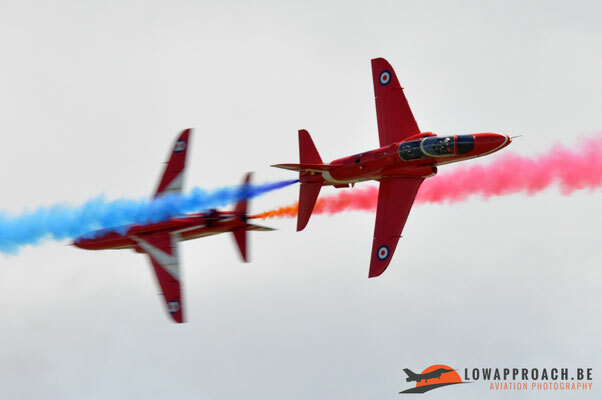 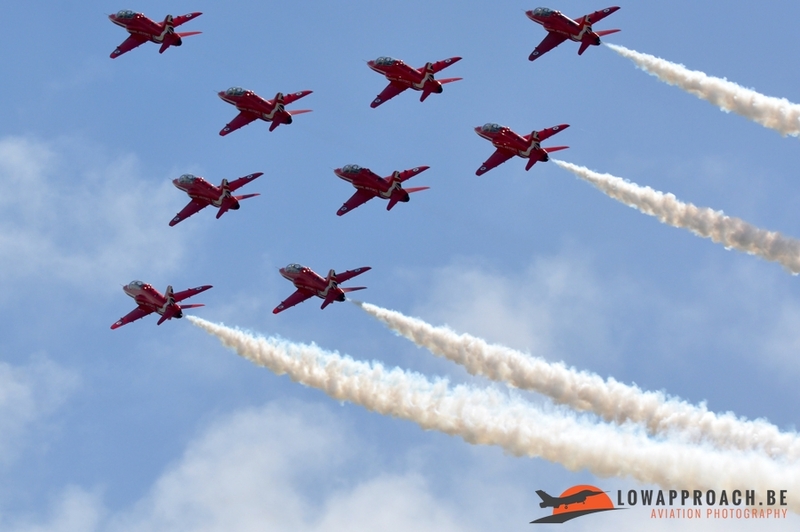 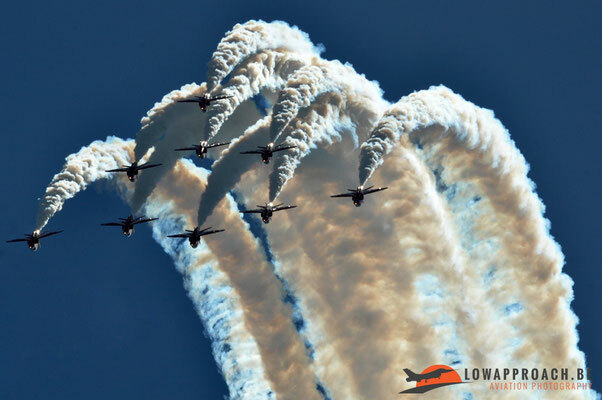 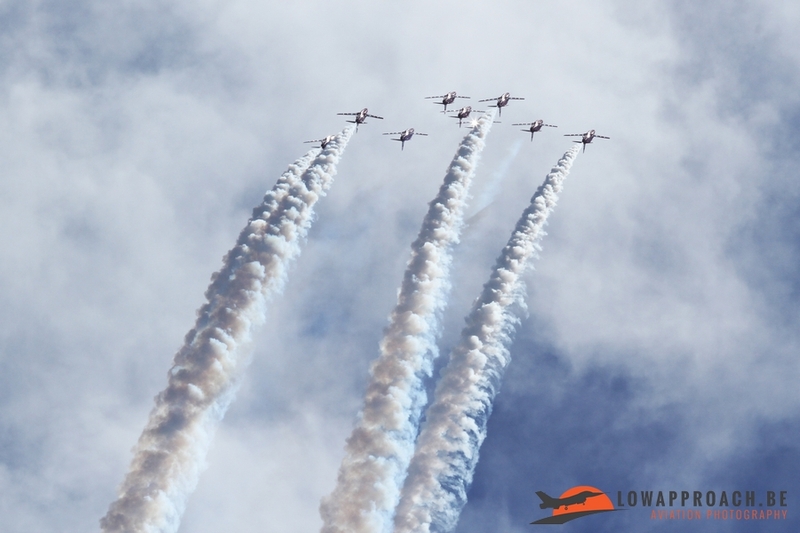 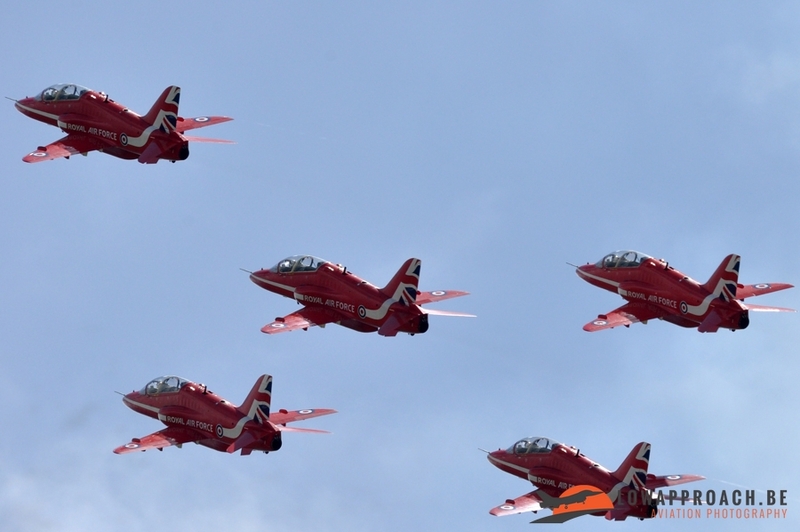 Traditionally as with every major airshow in Europe nowadays, the Air Day had several teams scheduled, starting off course, with the Royal Air Force Red Arrows…. 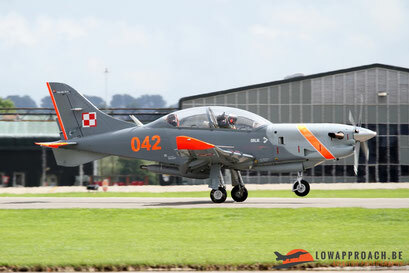 Followed by ‘Team Orlik’ from the Polish Air Force flying the Polish designed and build PZL 130TC-2 Orlik, where the team borrowed its name from. 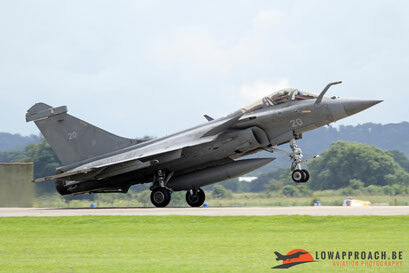 A more unusual ‘team’ at Yeovilton were a couple of Dassault Rafale Ms from the French Aeronavale, the French naval air arm. 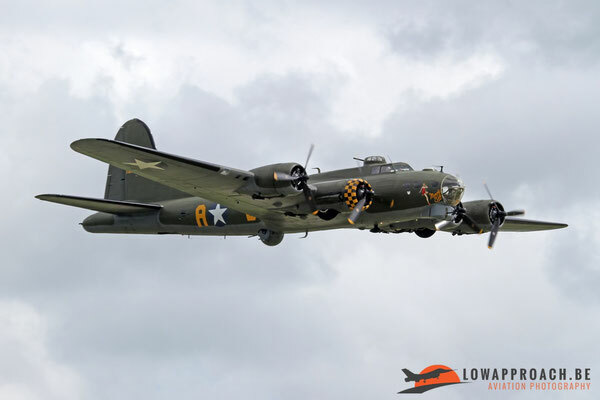 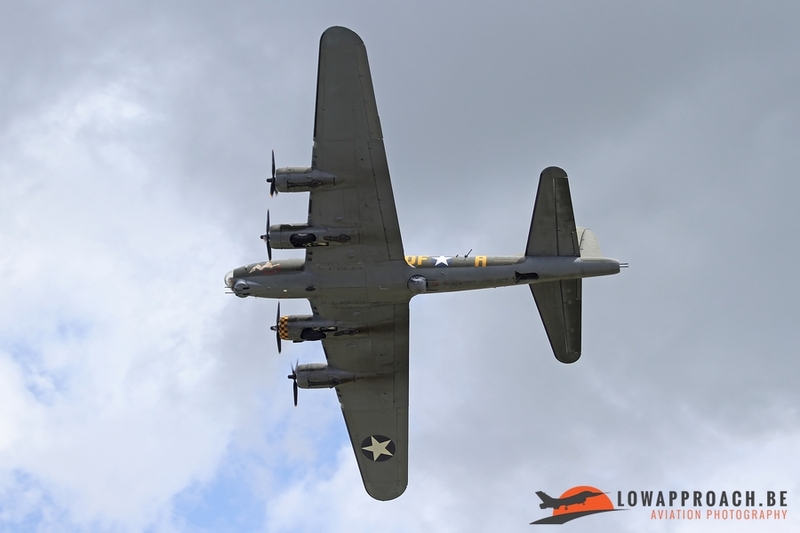 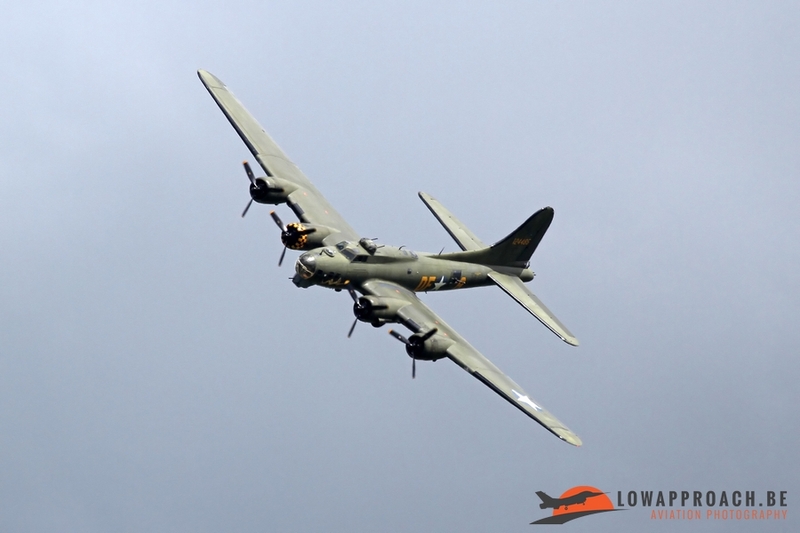 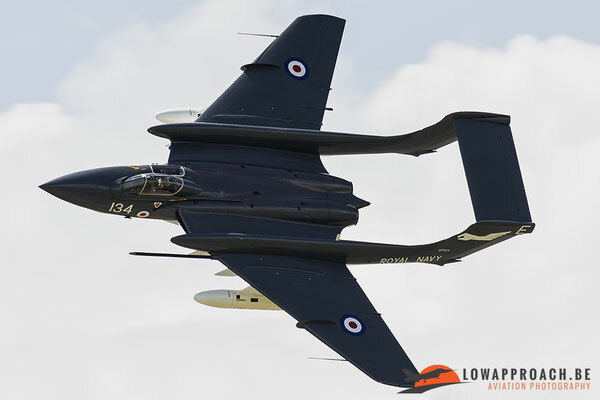 These aircraft are usually performing at airshows in France, but for the Air Day at Yeovilton they made an exception. 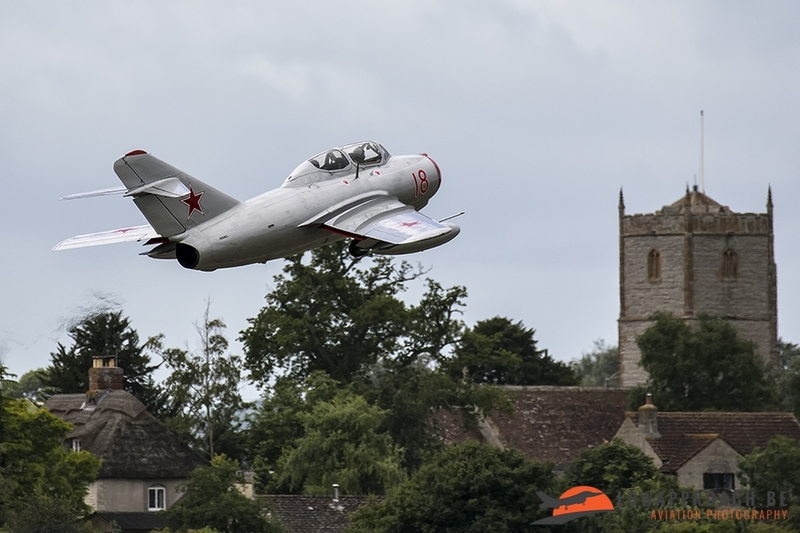 Other interesting items at the display were a Mikoyan-Gurevitch MiG15UTI, normally based in Norway and another ‘classic’ from the airshow scene from the last decades, the Boeing B17 Superfortress ‘Sally B’. 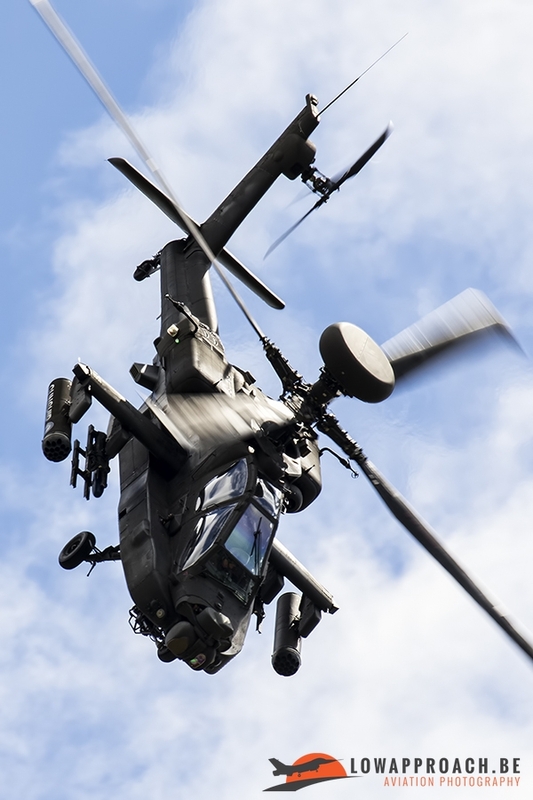 The British Army Air Corps send over a Westland Apache AH.1. 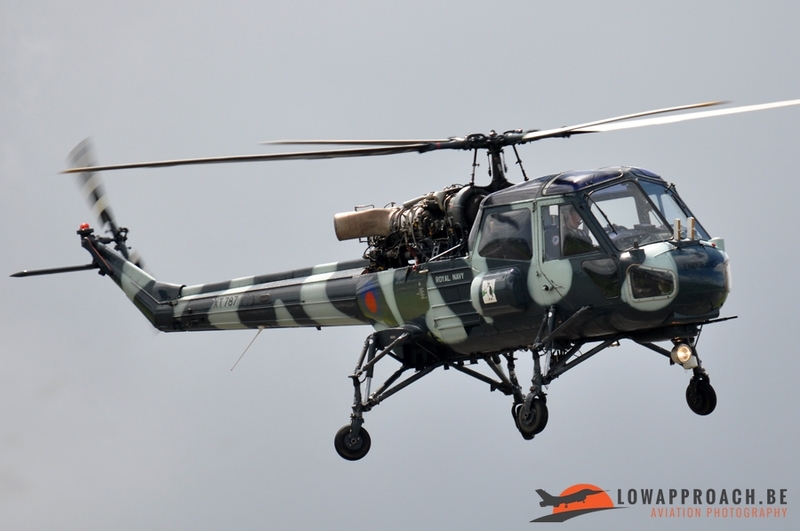 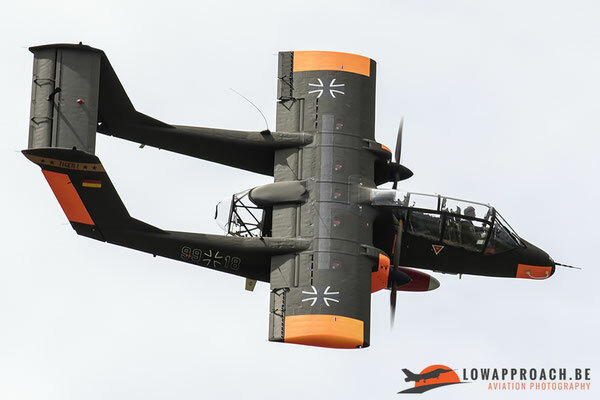 The only Belgian participant to this years display was the Rockwell OV10B Bronco from the ‘Bronco Demo Team’ based at Wevelgem Airport. 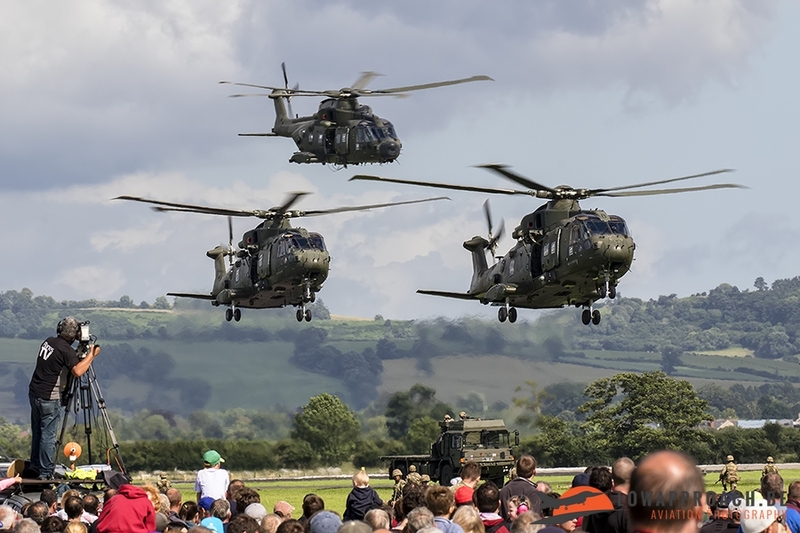 Traditionally the flying display at Yeovilton is concluded by a ‘Commando Assault Demo’. 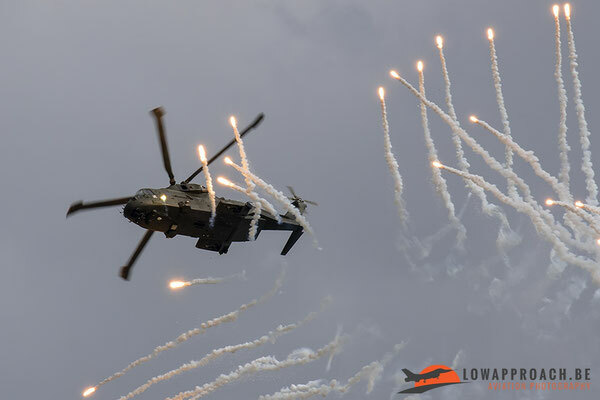 During this demonstration the capabilities of the Royal Navy rotary element are demonstrated. 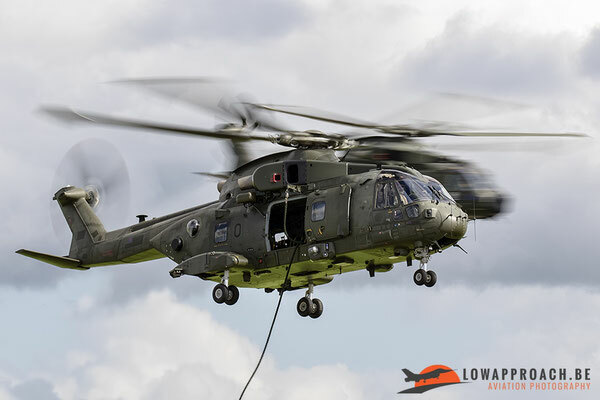 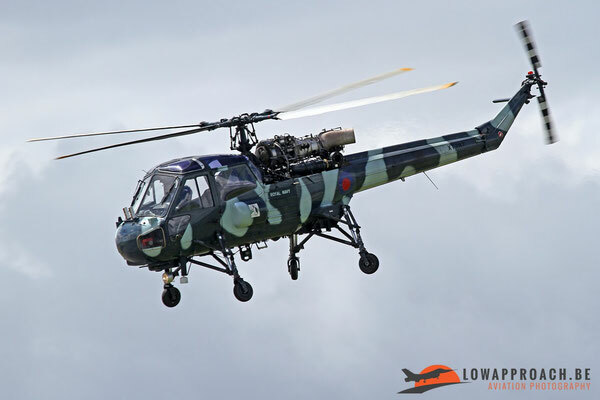 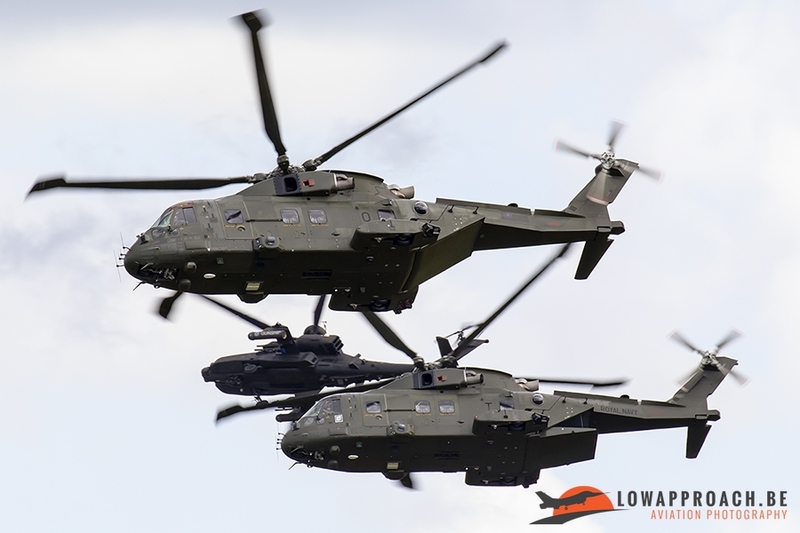 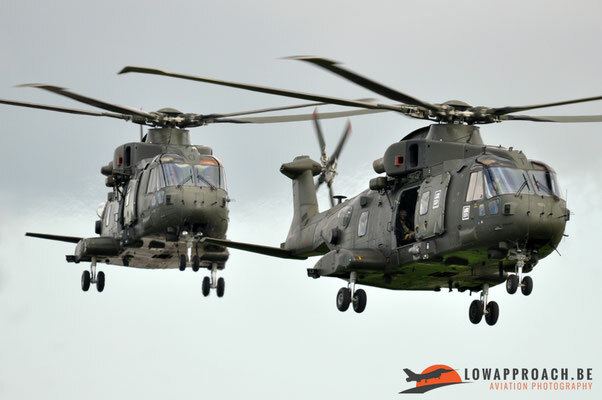 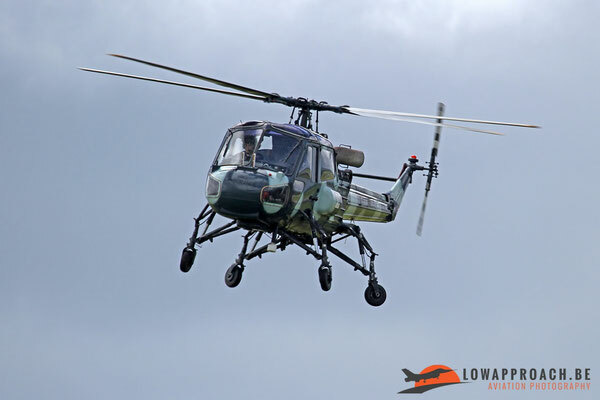 Not so long ago the Westland Sea King and Westland Commando were retired from service, so this was the first time the Agusta-Westland EH101 Merlin was displayed. 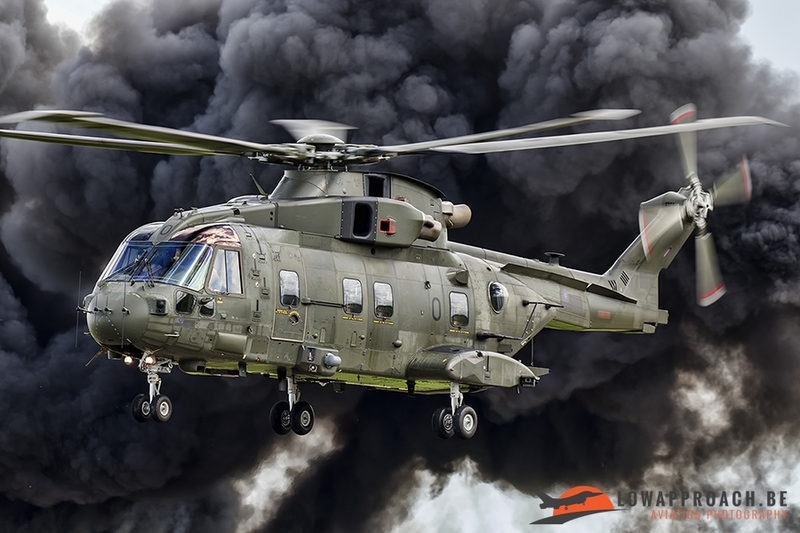 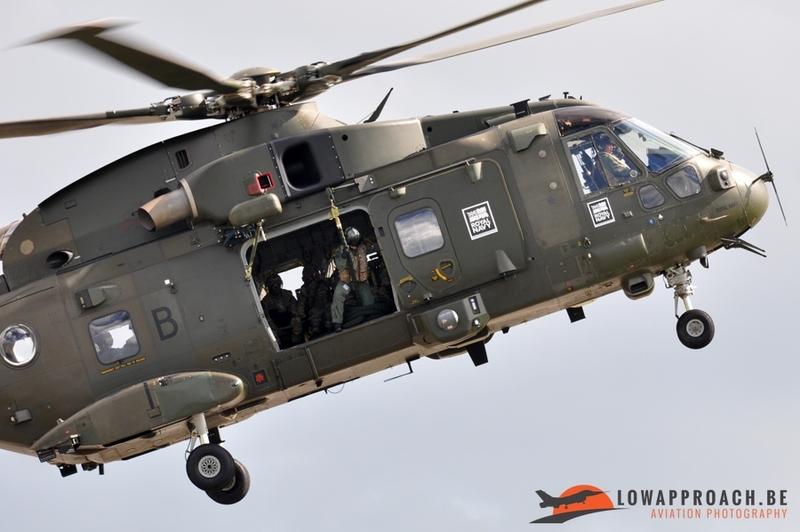 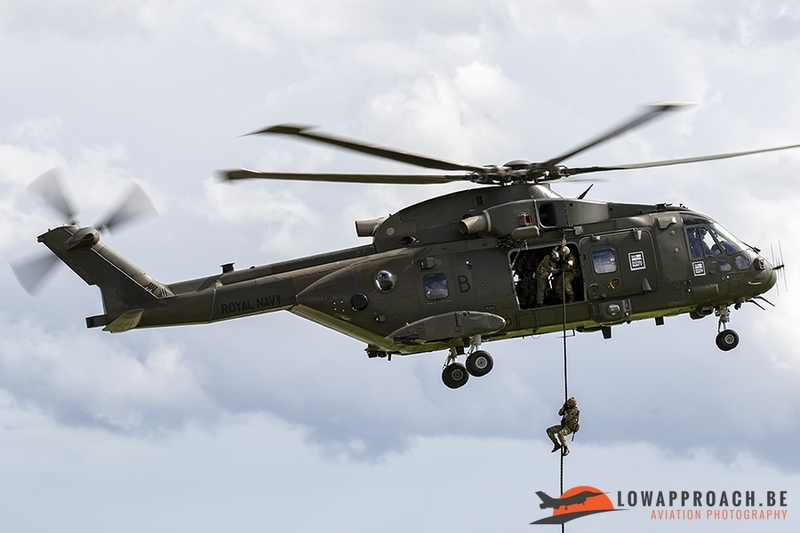 To increase the Royal Navy Merlin-fleet, the ‘Commando Helicopter Force’ took over the aircraft initially allocated to the Royal Air Force. 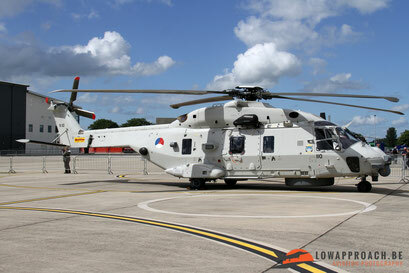 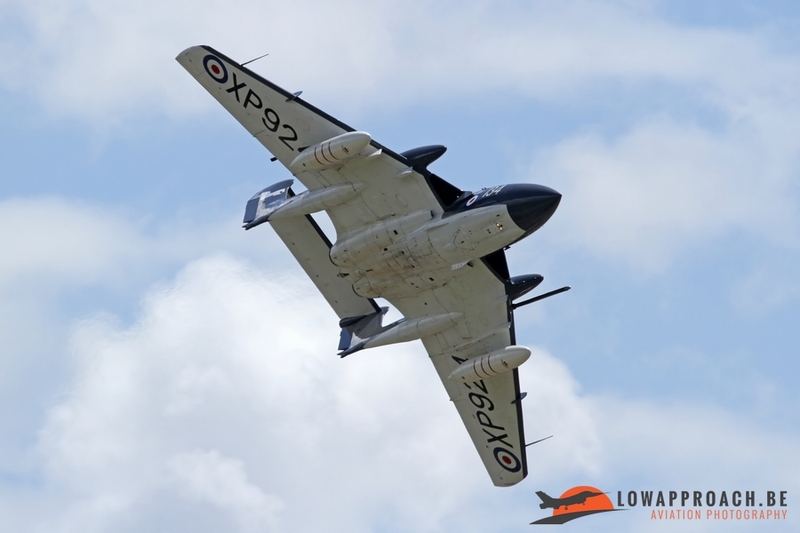 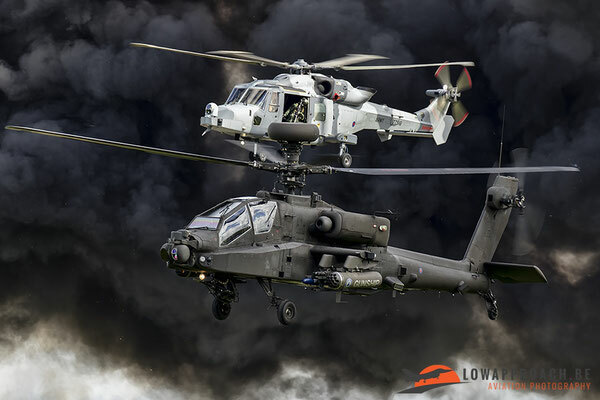 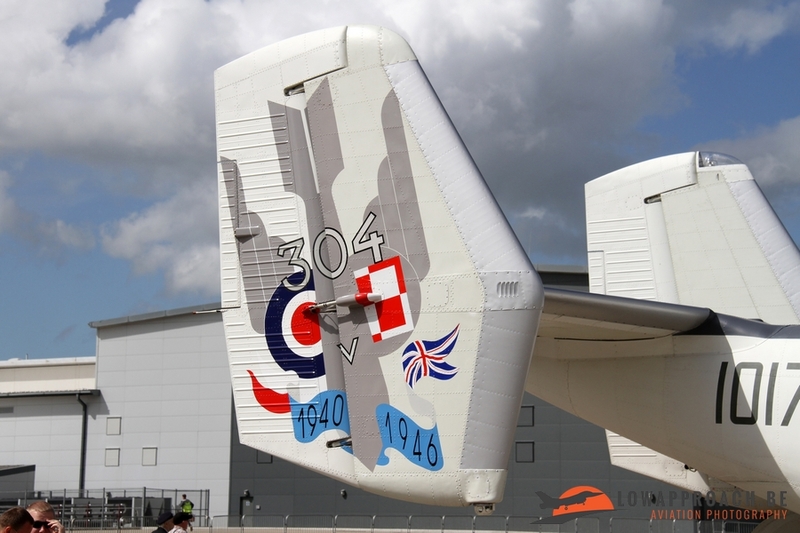 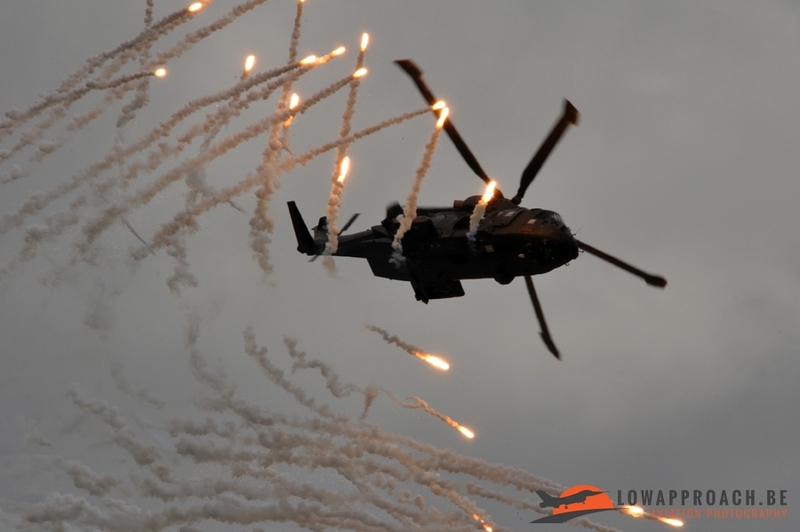 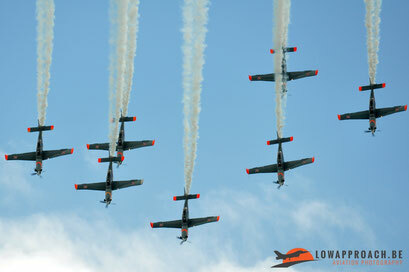 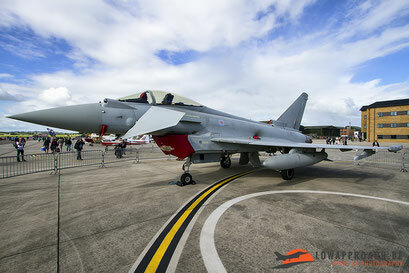 The Yeovilton Air Day is a nice event to visit. It’s not as massive as the Royal International Air Tattoo and the atmosphere is really relaxed. Unfortunately for the photographer there are some drawbacks. 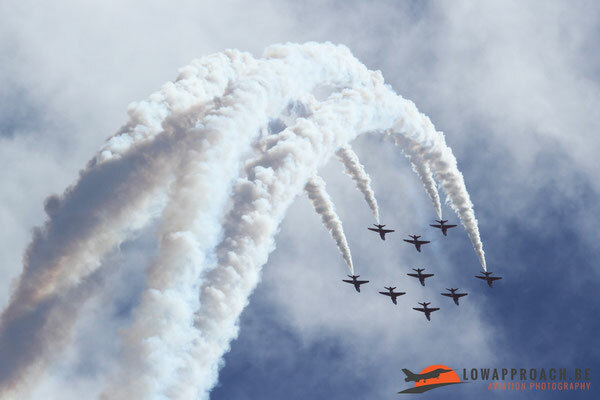 During the air display you virtually continuously have the sun in front of you, so it’s not possible to make nice ‘sunny’ pictures, on the other hand the flightlines are next to the static display, so it’s possible to follow the startup at close range. The static display was a bit mixed, some aircraft could be photographed fairly well, certainly all the foreign visitors. 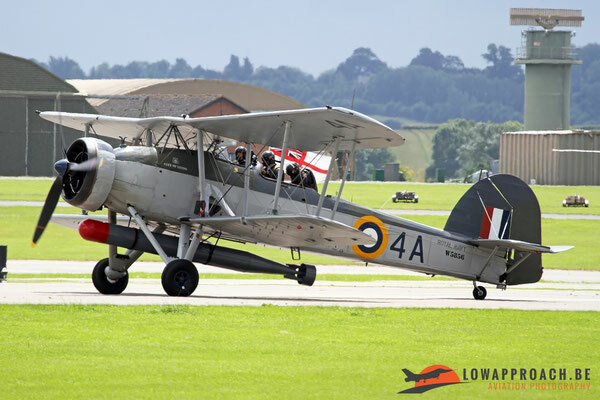 Unfortunately the UK aircraft, and especially the historic aircraft were fenced off very closely. As already mentioned in a future article I will show you around the Fleet Air Arm museum, which also owns a series very nice and unique aircraft.